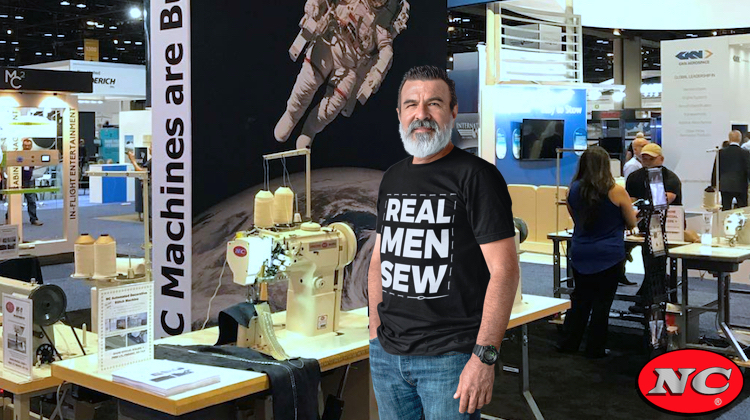 NC Carpet Binding & Equipment is giving away three “Real Men Sew” t-shirts — and entering to win is super easy! Show pride for the craft of upholstery with our awesome “Real Men Sew” t-shirt. Trimmers from Ohio to New Zealand have already bought one. However, you can win one f0r FREE. Post any sewing or upholstery related photo or video on Instagram. Wait to see if you win. NC Carpet Binding & Equipment will announce one winner in February, March and April. But you don’t have to wait until then. 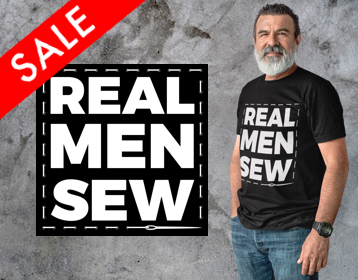 If you need a “Real Men Sew” shirt now, buy one from our online store. Use coupon code VDAY20 to save 20% (offer ends February 14). NC Carpet Binding & Equipment is The Hog Ring’s go-to source for quality, industrial sewing machines, sergers and more. With nearly 70 years in the business, they know everything about tough machines that can handle upholstery, carpet, netting and turf. What’s more, they’re champions of the craft — putting auto trimmers front and center at SEMA. To learn more about NC Carpet Binding & Equipment and check out their machines, visit N-CCarpet.com. Of course, you can also follow them on Instagram at @NC_Carpet_Binding.